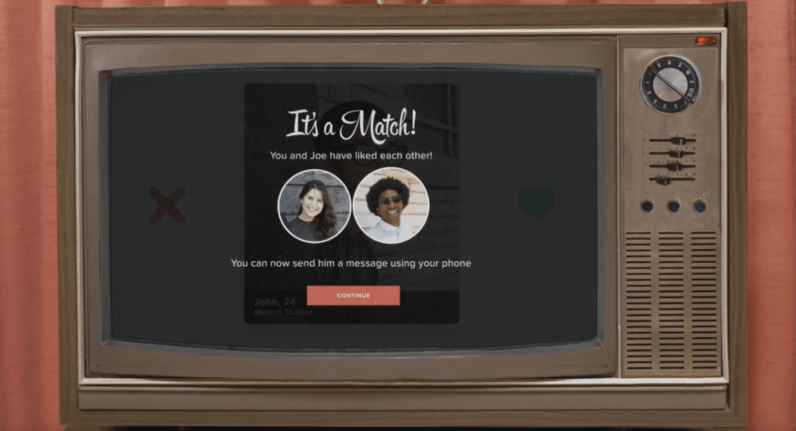 While you might prefer sexting in private, Tinder has announced its app is now available on Apple TV so you can weird out everyone else in the room by putting your miserable dating life and cheesy pick-up lines on a larger screen. The new version of the app works more or less the same way as its mobile counterpart – swipe left to skip and right to like. The only difference being that your mom and dad will now have the privilege of watching you speak dirty to a bunch of horny strangers. “Since its launch, friends have been swiping for each other on Tinder. Tinder on Apple TV represents the next step in that evolution,” said founder and chairman Sean Rad. Tinder has been getting busy the last few months. Back in July, the company introduced its ‘Social’ feature which makes meeting new people with your friends easier than ever. It also launched a new ‘Boost’ functionality which gives you the option to pay your way to the front of the line, improving your chances of getting noticed by other love-seeking users. More recently, the dating app further added a smart photo algorithm that takes the hassle out of choosing your best profile pic as well as a few more gender options to accomodate the diverse preferences of its userbase. In any case though, this still isn’t enough to entice me into putting my flirtatious advances on big screen – for everyone else to watch. Read next: TNW Conference: Our final 2-for-1 ticket sale is tomorrow!